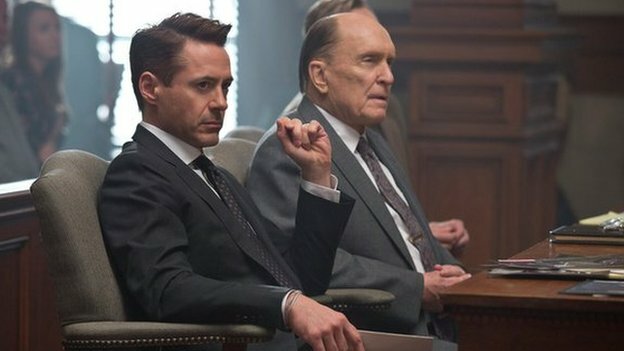 The character: Robert Duvall plays a town judge accused of murder, whose big city lawyer son, played by Robert Downey Jr, returns to defend. Oscar record: He won the best actor Oscar in 1984. He has been nominated a further five times: for best supporting actor in The Godfather (in 1973), for Apocalypse Now (1980) and for A Civil Action (1999). He was nominated for best actor in 1981, for The Great Santini, and in 1998, for The Apostle. This nomination makes Duvall the oldest Oscar nominee in this category. At 84, he is two years older than the previous oldest nominee, Hal Holbrook, who was up for Into the Wild in 2008. The oldest winner in this category is Christopher Plummer, who was 82 when he picked up the Oscar for Beginners in 2012.